How Do I Know if I’m Running 32-bit or 64-bit Windows? Figuring out whether you’re running a 32-bit or 64-bit version of Windows only takes a couple of steps and the tools are already built into Windows. Here’s how to find out what you’re running. Whether you’re running 32-bit or 64-bit Windows makes a pretty big difference. Running a 64-bit version of Windows means having better security and the ability to use more memory in your system. And, if you have a system that supports it, making the switch from 32-bit to 64-bit Windows is free—even if it does require a bit of work. We’ll walk you through how to find out whether you’re running a 32-bit or 64-bit version of any version of Windows from XP through 10. To check whether you’re using a 32-bit or 64-bit version of Windows 10, open the Settings app by pressing Windows+I, and then head to System > About. On the right side, look for the “System type” entry. 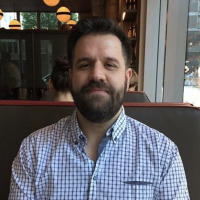 It will show you two pieces of information—whether you’re using a 32-bit or 64-bit operating system and whether you have a 64-bit capable processor. 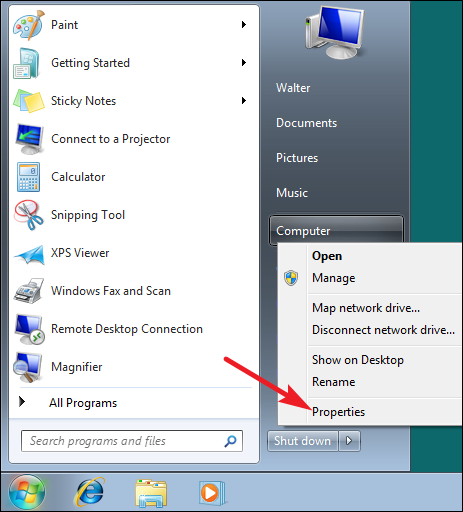 If you’re running Windows 8, head to Control Panel > System. You can also hit Start and search for “system” to find the page quickly. 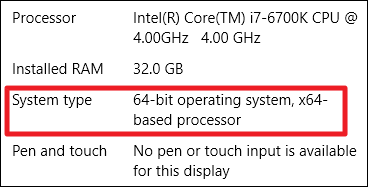 Look for the “System type” entry to see whether your operating system and processor are 32-bit or 64-bit. 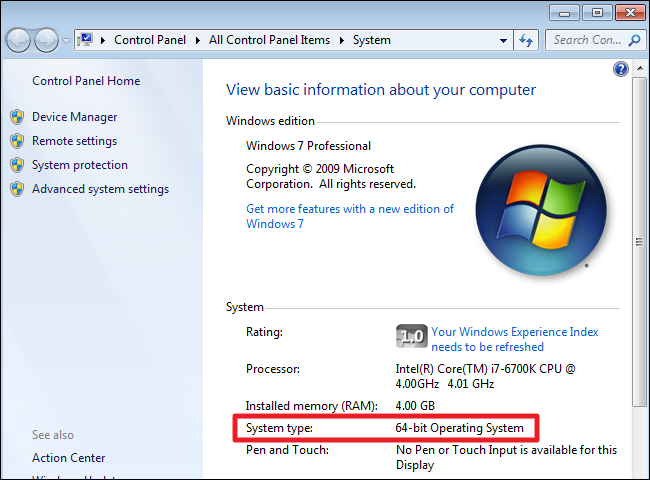 On the “System” page, look for the “System type” entry to see whether your operating system is 32-bit or 64-bit. 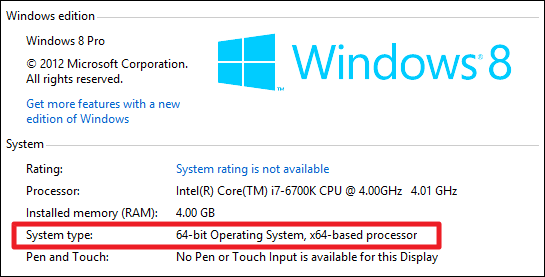 Note that, unlike in Windows 8 and 10, the “System type” entry in Windows 7 does not show whether your hardware is 64-bit capable. 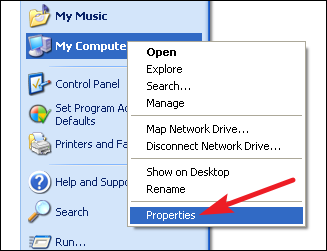 In the System Properties window, head to the “General” tab. 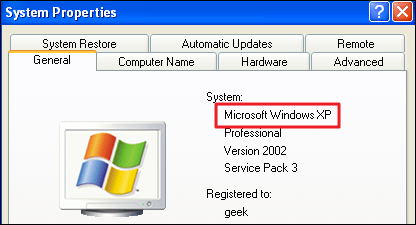 If you’re running a 32-bit version of Windows it won’t say anything here other than “Microsoft Windows XP.” If you’re running a 64-bit version, it will be indicated on this window. RELATED: Why Are Most Programs Still 32-bit on a 64-bit Version of Windows? Checking whether you’re running 32-bit or 64-bit is easy, and follows nearly the same process on any version of Windows. And once you’ve figured it out, you can decide whether you want to use 64-bit or 32-bit apps.